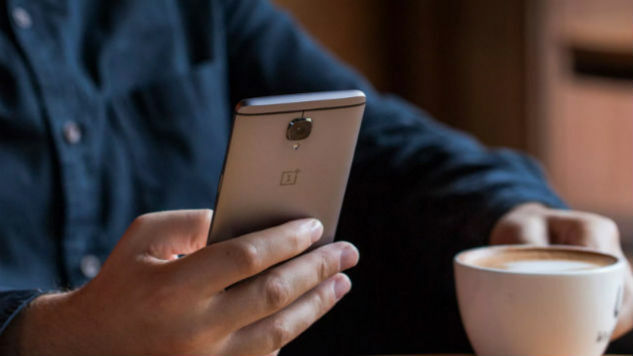 Last year’s OnePlus 3 and OnePlus 3T were some of our favorite smartphones of 2016. Not only were they insanely affordable, they were beautifully designed and ran arguably the best version of Android out there. The independent Chinese manufacturer is moving on to its newest device, the OnePlus 5. No—that wasn’t a typo—the company is skipping the OnePlus 4 altogether because of the number’s negative meaning in Chinese culture. It should be noted that the following is all based on leaks and rumors, some of which are undoubtedly untrue. Even still, based on OnePlus’ fantastic track record, it’s hard to not be excited about the possibilities. Cameras are getting so good that manufacturers are having to rely less and less on pumping out meaningful upgrades to sell new phones. Samsung didn’t even bother trying upgrading the cameras on the new Galaxy S8. However, OnePlus is attempting something entirely new with its cameras this year. We aren’t sure exactly, obviously, but leaks are pointing toward the dual-camera model used by phones like the LG G6 and the iPhone 7. Rumors are also pointing to a new 23-megapixel camera on the rear and a 16-megapixel camera on the front. Obviously we wouldn’t know how well these cameras actually perform—or what the dual camera setup is going to be used for—but OnePlus is definitely trying something new here. The display on the OnePlus 3T was great, though sitting next to the beautiful Galaxy S8 it couldn’t quite hold up. With the OnePlus 5, don’t expect curved screens or the complete removal of bezels. However, if the newest leaks are to be trusted, we will be getting a significant upgrade to the display. The OnePlus 5 looks like it’ll be getting a 5.5-inch 2560 × 1440 “QuadHD” display. This higher resolution has become the standard in most flagship devices, so this is a necessary update for OnePlus to stay competitive. Other significant specs from the leak include the Qualcomm Snapdragon 835 chipset and 6-8GB of RAM. Battery life is one of the Galaxy S8’s few weaknesses, despite its large 3000 mAh. With the size and resolution that these new phones have, batteries need to get larger and more efficient to power them. According to the newest leak, the OnePlus 5 could be getting a massive 4000 mAh battery. This would be a jump up from the 3400 mAh size, which already performed better than much of the competition. With its 5.5-inch QuadHD display, it’s going to need the extra juice, though the upgrade seems like OnePlus is well aware of how much people want better battery life in these devices. The original OnePlus flagship started at just $299—and the price has slowly gone up from there. The OnePlus 5 is rumored to cost $450, which is a tiny bump over the $439 OnePlus 3T. As these devices have continued to upgrade specs, materials, and technology, the price has adjusted accordingly—and that will only go up from here. However, compared to its competitors such as the Galaxy S8, Google Pixel, LG G6, and iPhone 7, it’s still going to have a significant advantage in the pricing department. OnePlus confirmed to The Verge back at the beginning of May that the device would indeed be called the OnePlus 5 and that the release date would be some time this summer. There isn’t a lot of consistency in OnePlus’ release schedule with previous phones, so we’re looking at anytime between June and August for a possible release.